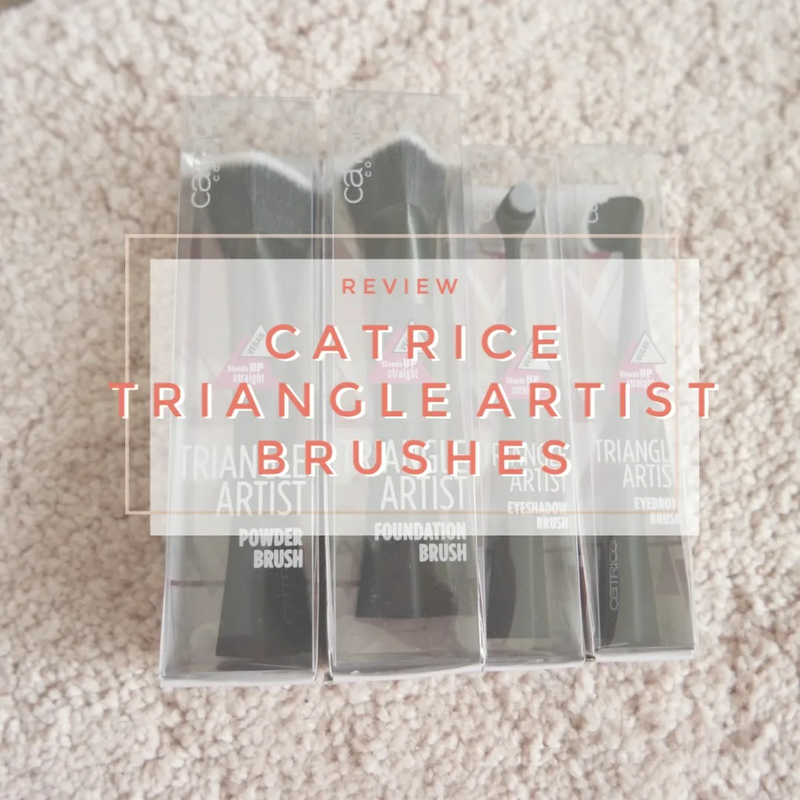 In one of their most recent product line change overs Catrice launched some new brushes: the Triangle Artist brush collection. It features two face brushes and two eyeshadow brushes. 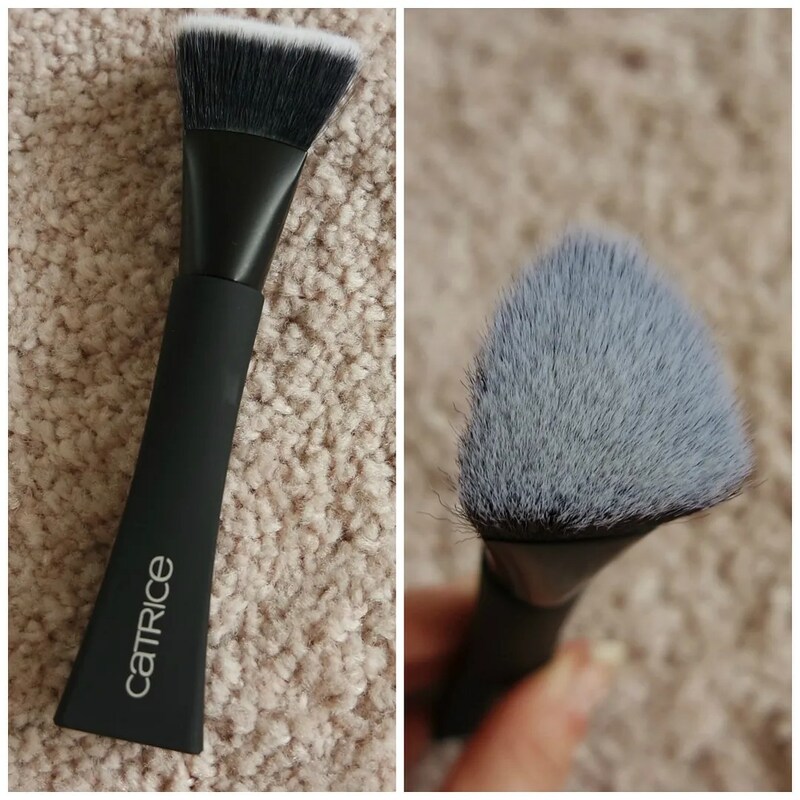 And I am always in for trying some affordable brushes and when Catrice makes them, you know they will not break the bank. Let’s see how I fared with these. As I mentioned there are 2 face brushes and 2 eyeshadow brushes. The face brushes retail for €5.99 each. The eye brushes are €3.59 each. That is a good price for an affordable brush to begin with, but then the brushes do have to be usable and of a good quality. To me, a good brush is soft but not too flimsy and easy to handle. A brush should give you control over the products you are using and make makeup application flawless and effortless. The first brush I have for you is a powder brush and that truly lives up to its name. This brush is shaped like a triangle. At first I thought that would be gimmicky, but I am pleasantly surprised. 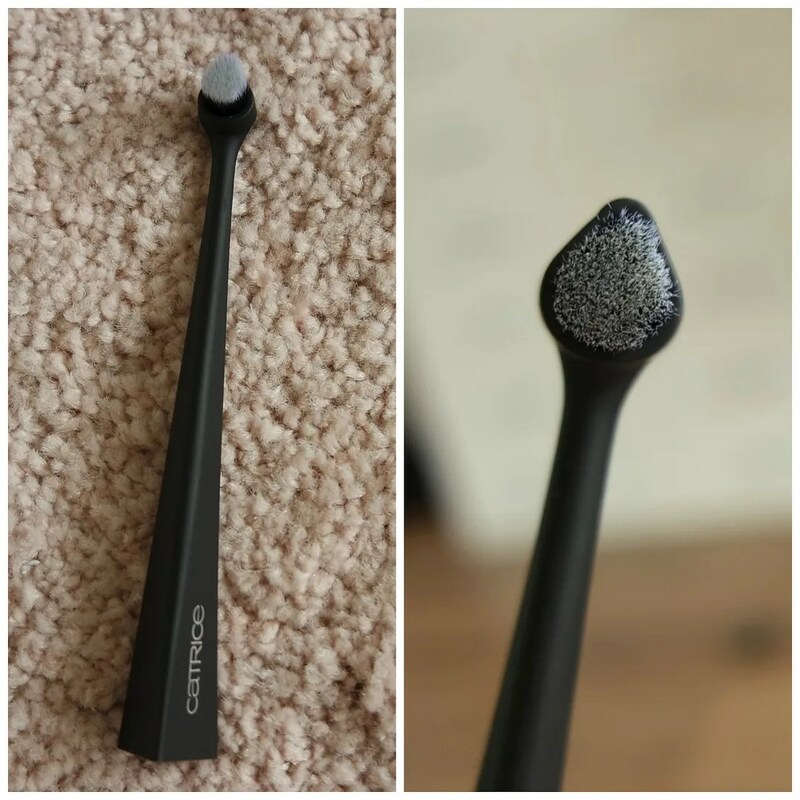 Because of the pointed edge, this brush makes it easy to apply powder on the under eye area as the point fit perfectly in the corner of my eye. It also makes it super easy to apply powder around the nose. Texture wise the brush is soft and not too firm nor too flimsy. I would suggest using this mostly with face powder or possibly a foundation or concealer, but not with a color product. For blush or bronzer I think this brush is too dense and would easily make your application a bit clownish. For base products, this is a great option though. The collection also comes with a foundation brush and this is another great one. Texture wise this brush is comparable to the powder brush. It is soft and has a lot of movement to it. 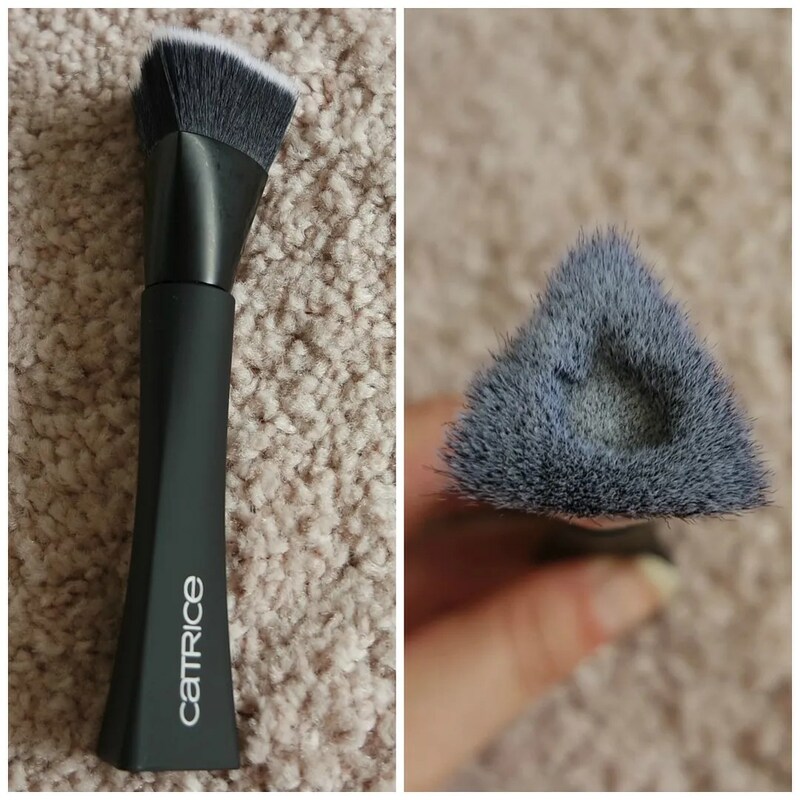 This makes it easy to blend your foundation seamlessly and because of the triangle shaped brush head, you will have no issues blending your foundation into the hardest to reach places. There is a little dip in the middle of the brush, which is actually ingenious. 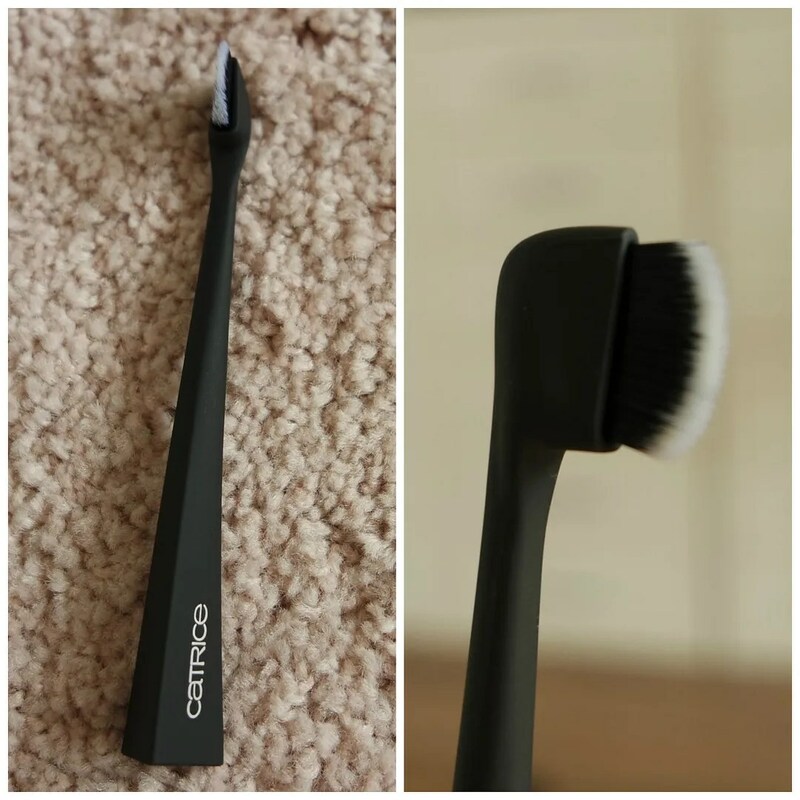 It allows you to pump or pour your foundation onto the brush before applying it to your face. It skips the step of pumping it onto your hand and whenever I use a brush to apply foundation, that is what I always do. The only downside I have with this brush is that it does absorb quite a bit of product, which means you do have to use more product than you would with most brushes. On to the eyeshadow brush. This brush is not exactly triangular in shape, but more like a tear drop. Not a brush that I would use for eyeshadow though. It is a bit too big for my eye shape and the brush is not easy to handle for tapping or wiping on shadow either. It is also a touch too dense for eyeshadow application. However, these types of brushes, that look like a misshapen toothbrush, are usually really great for applying concealer. So that is how I tried to use this most. While I like it for that, I think this brush is a bit too soft and flimsy for blending out a concealer which is usually a bit more intense than a foundation. The brush head is also a bit too small for concealer larger areas, but it could work well for spot concealing. The final brush I have for you is called an eyebrow brush, but I honestly do not know how this would work for brows. It is quite big for brows and it will just not give you a very precise, hair like application. So I was a bit stumped with how to use this. It is too fat and flimsy for eyeliner. It is too big for brows, the only option left? Nose contour. But that is not something I do, but if you are looking for a brush that I think that can do that, then this may be a good option. I think this brush can be great for detailed cream application. Out of these four brushes in the Catrice Triangle Artist brush collection I love two and I like the other two. The two face brushes are my favorites though: they work well and are easy to use and €5.99 for a face brush is not a lot of money compared to most other affordable brush brands such as Zoeva and Real Techniques. The two eye brushes I can see being used for very specific usages, both for makeup applications I never really do. However if you are looking for brushes for those specific applications, then these may be affordable options to look into. What affordable brushes do you like? This is on my shoplist already…. These sound really interesting. Great review! They will be coming out with a few more for the new installment of products, so I think these will be kept it the collection for some time.